I have read lo these many self help books and have gotten something useful (and a few good guffaws) out of most of them - but I think I have finally found my guide to life. 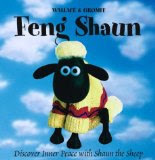 Who if not Shaun the Sheep should tell me to relax and be happy? Wallace and Grommit and a few sheepy friends also make guest appearances. This book takes about 14 seconds to read, but it was worth the ten bucks for the smile it brought to my face. I saw it in an LYS the other day and couldn't leave without it! Dance hell this weekend for Little Loopy, shawl hell for me as I have a large shawl to finish for Caron Yarn. At least with the teachers' convention in NJ today, LL and I could sleep in. is one of those that I like much better now. There are two sizes in the pattern, one is two shades of cotton worsted held double, the other is two strands of lightweight flax held double. They have plastic canvas inserts in the bottom so they hold their shape. 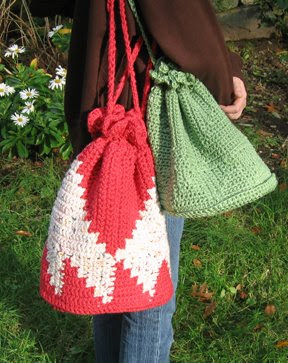 These of course had to go off to be in a trunk show, but I am making another one of the linen version for myself. It has some deliberate dropped stitches in it, and fringe, and I made it using techniques I learned in a class I took with Chris Bylsma at the last TNNA. 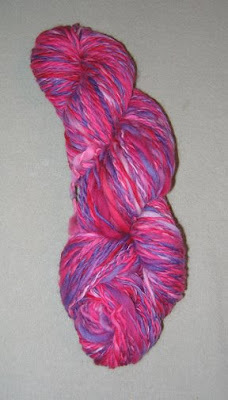 It took less than one skein each of Cleckheaton Gusto, and Plymouth Yukon. I didn't know who to give it to, so it's listed in my Etsy shop for sale. I had pretty much forgotten I started an Etsy shop, then loaded a bunch of the new patterns on there, and lo and behold they are selling. So now I think I might put some handmade items on there too and see how that goes. This was just for me. I had to put the spinning wheel away because I was succumbing too often to the lure of its siren song, and not getting enough work done. Since I couldn't go to Rhinebeck (for which I am still bitter) a friend brought me two ounces of (crack) roving to play with. I spun it up right away, work schedule be damned. I am still underspinning when I ply, so I may run this through the wheel one more time to tighten it up. 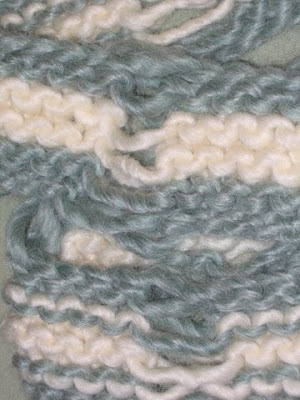 Little Loopy thinks it should be a scarf for her, so of course that's what it will be. Back to work - thanks for putting up with my bloggy absences recently, I am trying to do better now!